We’d love your help. Let us know what’s wrong with this preview of Familial by John Lavan. 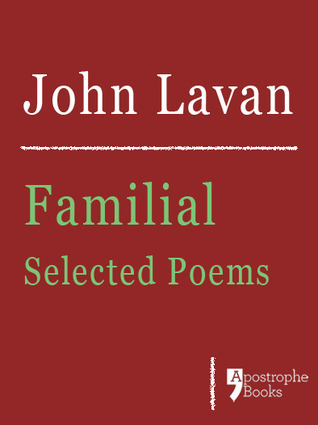 One of the internet’s most prominent poets, John Lavan, presents his first book of collected poems. John’s distinctive voice, enjoyed by his hundreds of thousands of blog and Twitter followers, carries effortlessly from the personal to the pastoral. Many poems are inspired by family relationships, especially the bond he has with his first son Andrew, who has Down’s syndrom One of the internet’s most prominent poets, John Lavan, presents his first book of collected poems. To ask other readers questions about Familial, please sign up. I loved the feel - when I wrote it - and, now, when I read it!